GARDAÍ IN THE Bridewell have begun an investigation after the body of a woman was discovered on the grounds of a church in Dublin. 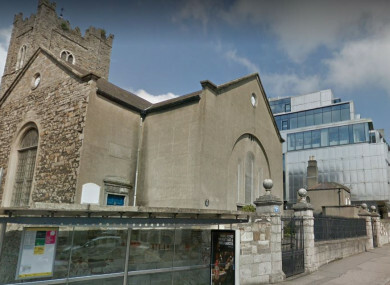 A member of the public discovered the woman’s body at St Michan’s Church, off Church Street in Dublin 7 and notified gardaí at around 6am this morning. Gardaí attended and the woman was pronounced dead at the scene. The area was sealed off and a technical examination of the scene is currently under way. The woman’s body was taken to the city morgue, where a port-mortem is expected to take place later today. Investigations are currently ongoing into the circumstances of her death, gardaí said. In a statement, Church of Ireland Archbishop Dr Michael Jackson said express his sadness at her death. Email “Woman found dead on grounds of Dublin church”. Feedback on “Woman found dead on grounds of Dublin church”.